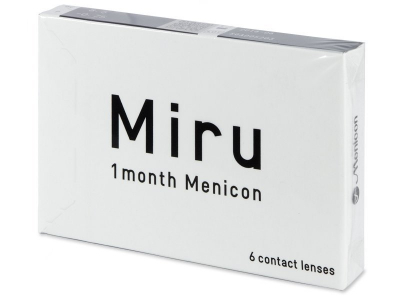 Miru 1 Month soft contact lenses are made of silicone-hydrogel material and are produced using patented MeniSilk and Nanogloss technologies, which provide optimal vision and comfort all day long. 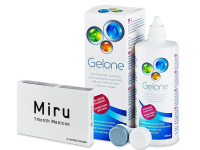 TopVue Air are silicone-hydrogel contact lenses with a monthly replacement schedule. Their material ensures high oxygen permeability and water content and they are enriched with sodium hyaluronate for added moisture and comfort. 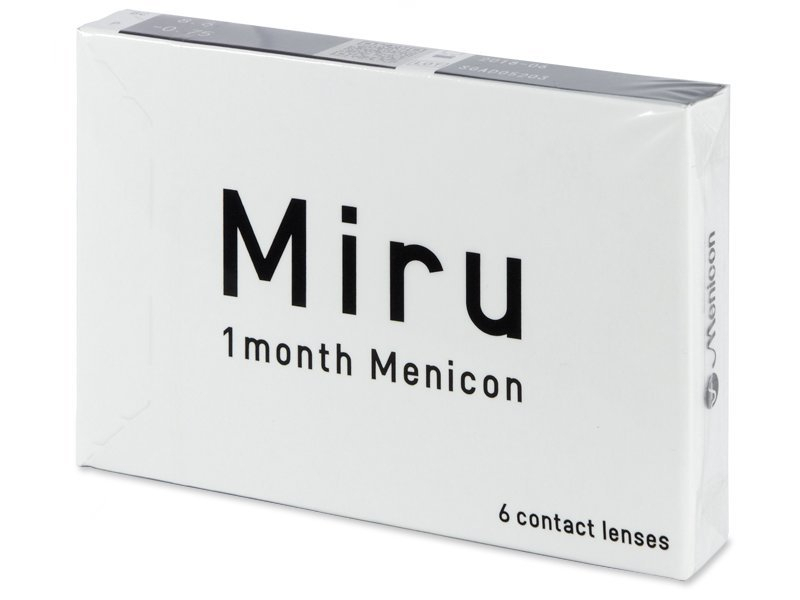 Miru 1 Month are soft, silicone-hydrogel monthly contact lenses produced using the patented MeniSilk and Nanogloss technologies, which provide optimal comfort and vision for one month of wear. 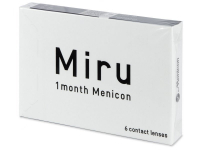 Manufactured by Menicon, Miru 1 Month are made from a material called Asmofilcon A, which has an excellent level of oxygen permeability (Dk/t 161). 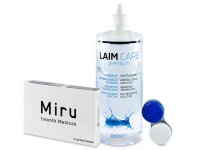 The extremely thin edges minimise irritation by reducing friction with every blink of the eyelids. The MeniSilk molecules bind water to the lenses during the polymerisation process, thereby increasing their moisture capacity. 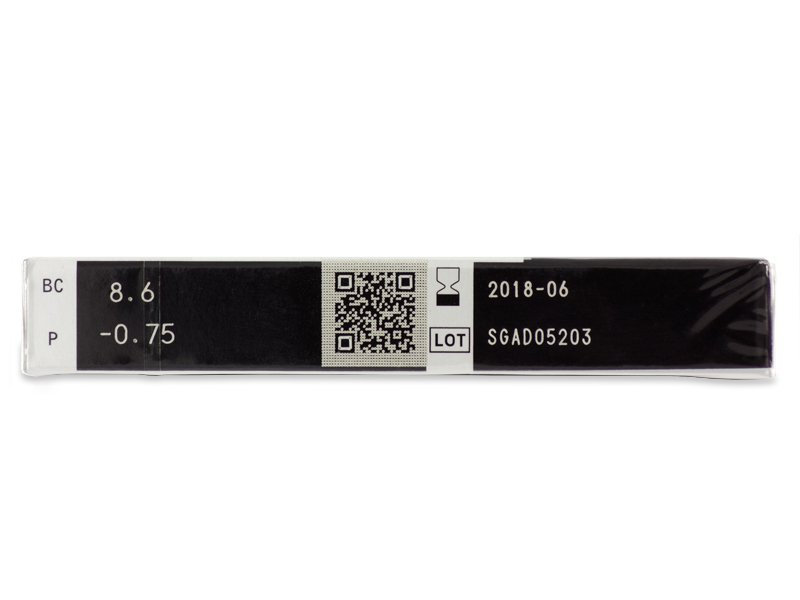 Nanogloss technology provides a super-smooth surface and increases their resilience against lipid and bacteria deposits. Together, these technologies provide unparalleled comfort. Very good lenses. Big difference in comfort and quality from the daily lenses I was wearing before. Highly recommend this brand.